I have always said that these cases will be won in discovery. Discovery must of course be preceded by proper pleading. Typically borrowers ask all the right questions and get no answers. They are met with objections that are, to say the least, disingenuous. The motion to compel better answers or to overrule the objections of the party seeking foreclosure is the real battle ground, not the trial. And speaking from experience, just noticing the objections for hearing or using a brief template and then relying on oral argument will not, in most cases, cut to the quick. The motions and hearings aimed at forcing the opposition to answer fairly simple questions (yes or no responses are best) should be accompanied with a brief that states just why the question was relevant, and why you need the answers from the opposition and why you can’t get it any other way. This involves educating the judge as to the fundamentals of your position, your defenses and your claims as the backdrop for why the discovery requests you filed should be compelled. Practically every case in which there was a major settlement under seal of confidentiality involves an order from a judge wherein the servicer or bank was required to answer the real questions about the actual money trail and the accounting and management of the money from soup to nuts. So if a judge says that the borrower gets all the information about the loan starting with the source of funding at the alleged time of origination and the judge says that the borrower is entitled to know where the borrower’s money was sent after being received by a servicer, and the judge says the borrower can know what other payments were made on account of the subject loan, the case is ordinarily settled in a matter of hours. The only money trail is the one starting with investors who thought they were buying mortgage backed securities, the proceeds of which sale would go to a REMIC trust, but were instead diverted to the coffers of the investment bank who created and sold those mortgage backed securities. And it ends with a “remote” vehicle sending money to a clueless closing agent who assumes that the money came from the originator. BECAUSE THE MONEY DIDN’T COME FROM THE ORIGINATOR, THERE IS NO MONEY TRAIL AFTER THE ALLEGED “CLOSING.” Who would pay an originator for a loan they know the originator never funded? Who would pay an assignor when they know the assignor never paid any money to acquire the loan, debt, note or mortgage? Answer nobody. And that is why the servicers and banks cannot open their books up — the entire scheme is an illusion. What we are seeing here is a master at obfuscation. In one case I have in litigation, Wells Fargo wants to assert that it can foreclose on the mortgage in its own name. It has alleged in the complaint that it is the owner of the loan and then testified that it is not the owner but rather the servicer. It has testified that Freddie Mac was the investor from the start but it has produced an assignment from a nonexistent entity in which Wells Fargo was the assignee. Nobody testified that they were in court on behalf of any investor and the only thing we have is the bare assertion from the witness stand that Freddie Mac is the investor from the start. And yet during this whole affair, Wells posed as the lender, owner and then servicer of the loan without any authority to do so. And they posed as a party who could foreclose on the borrower without any evidence and probably without any knowledge as to what was showing on the books and records of whoever actually did the funding of this loan (or if the funding was in the amount claimed at closing) or whoever is claimed to be the owner of the loan. A Motion to Compel should be filed citing their response to Yes or No questions — objection vague and ambiguous etc. The point should be made that the defendants are the sole source of records, data and witnesses by which the Plaintiff’s case can be proven as to liability, damages and punitive damages. 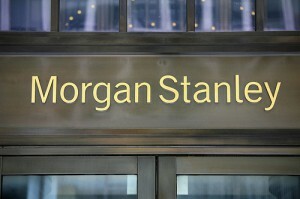 We have limited discovery to asking about their procedures as they relate to this particular alleged loan. So we are asking how it happened that Wells entered the picture at all as servicer or representative for any actual creditor — the only indication we have that some creditor exists is the surprise testimony from the designated representative of Wells in which he admitted that the named originator was not the lender, could not explain how such an “originator” was put on the note and mortgage and that Wells Fargo was not the lender or owner of the loan either. But we have no documentary evidence or data or witness from them explaining why they proceeded to assert any right to collect any money much less enforce a loan of money that came from somewhere but we don’t know from where. The corporate representative of Wells says Freddie Mac was the “investor from the start.” But we have the direct refusal of Wells Fargo to produce a servicing, agency or representative agreement that applies to this loan. We know that Freddie Mac was never a lender in the sense that they never originated any loans. So now we are asking for how they did get involved. The charter of Freddie Mac allows them to be two things: (1) guarantor and (2) Master trustee for REMIC Trusts. Freddie can buy loans with either cash or mortgage backed bonds issued by the REMIC Trust if such bonds were issued by one or more Trusts to Freddie Mac. But all of that still leaves the question of where did the money come from — the money that was used to give to the borrower? It appears that the money came from investors who bought mortgage backed securities from REMIC Trust if Freddie Mac was really involved (A fact that is unknown at this time) or that the money came from investors who bought mortgage backed securities from a private label REMIC trust that is not registered with the SEC. But the money came from somewhere and we want to know the identity of the source because it will tell us who was really involved. And it is only in the context of knowing who was really involved that we assess the behavior of Wells Fargo and why they did what they did. We ask them about their risk of loss and they respond by saying that they deny that they would not incur damages if the borrower defaults on the loan. Since they have said they didn’t provide funding and that they were not the investor (they say Freddie Mac was the investor (from the start), and they have no servicing agreement or at least not one they are willing to produce, then exactly how would they suffer damages on “default” on the loan? They should be compelled to answer our discovery requests in a more forthright manner. If they are answering truthfully, which we must assume they are, for the moment, then that could only mean that there is a deal somewhere in which they have some potential exposure and which has never been disclosed. That exposure has nothing to do with the debt, note or mortgage that was originated in the name of the alleged originator. And THAT goes to the essence of their motivation to lie to the borrower and to interfere with her ability to sell the property and pay off the loan. The exposure relates to the fact that without a foreclosure judgment and subsequent sale of the property, they lose their ability to recover servicer advances. 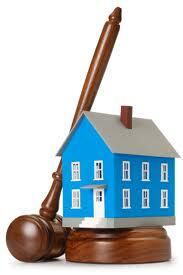 Servicer advances are the exact opposite of the basis for a foreclosure action. In a foreclosure action it is based upon the fact that the creditor experienced a default — i.e., the creditor did not receive payments. With servicer advances, the investor gets the money regardless of whether or not the borrower pays. They are volunteer payments because the borrower is not in privity with the advancer of payments to the creditor and in fact is completely unaware of the fact that such payments are being made. It also hints at another proposition: that some third party would hold them responsible unless they got a foreclosure judgment. We are left with equivocating answers that continue the pattern of obscurity as to the nature of the origination of the loan and the ownership or authority to represent anything. So it might just be that they they could not give a payoff figure and that their motivation was obtain the foreclosure judgment at all costs, even if they had to lie and dodge to get it. It would also explain why they lured her into the default. Certainly their turnover of SOME of the audio files which did not include the call in which she was told she needed to be 90 days behind (contrary to HAMP) in order to get some sort of relief. And there is another issue that comes up when you consider borrower’s testimony that she did receive a forbearance 2 years earlier. Did they have authority to do that? What changed, if anything? Did some other party intervene? Was there a change in internal Wells Fargo policy? All these things could be answered if they would be more forthright in their answers and if they reconciled the obvious discrepancy between not being the owner of the loan, but alleging that they were, not being the servicer or unwilling to state the source of their authority to represent another party, and testifying that they were the servicer, and testifying about Freddie Mac involvement without any records showing that involvement (indicating that the witness did NOT have access to the entire file). This also goes to the issue of whether there was any default at all if there is a PSA for a trust that claims ownership and if that PSA shows that through servicer advances or other payments means the real creditors — the investors — were NOT showing any default at all. The point of this diatribe is that this case highlights the fact that in virtually all Wells Fargo cases (and with other banks), the real party seeking a foreclosure judgment is the servicer (since they are the only ones showing up at trial anyway), but that whatever the servicer’s interest is or whatever their risk of loss is, it relates to a claim either not against the borrower or not based upon the mortgage which is either void or owned by someone else. If the self-proclaimed servicer is saying they will suffer damages upon default and they admit they have no ownership of the loan nor did they fund the original loan transaction, then any recovery would be based upon a cause of action other than a foreclosure of a mortgage where they are neither the mortgagee, successor or creditor. Their claim if caused by volunteer payments (servicer advances) to the creditors, it is based upon unjust enrichment not breach of the contractual duty to pay the loan. 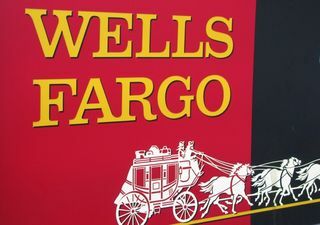 Remember that the witness testified to being the corporate representative of Wells Fargo as servicer and not to being a corporate representative of the “investor.” And the witness testified that the records of the investor were never available to him, so how can he testify that the creditor has experienced a default? Since the borrower never had any privity with Wells Fargo as servicer or lender how else could they be exposed to a loss? And more importantly, why are they suing the borrower for collection on the note and enforcement of the mortgage when the actual creditor has not experienced any default? THAT is the draft of the memo or brief that should accompany the Motion to Compel answers to simple questions. It is almost comical that their answer to a yes or no question was an objection that it was too broad, ambiguous etc. What IT platform are you using? Answer: None of your business. But it is written as an objection to the form or content to the question. That is how the servicers stonewall borrowers and that is how borrowers are prevented from ever knowing the truth about the origination or management of their loan. This cause of action is not deemed to have accrued until the discovery, by the aggrieved party, of the facts constituting the fraud or mistake. This action accrues upon the breach of the oral contract. See Niles v. Louis H. Rapoport & Sons, Inc., 53 Cal. App. 2d 644 (1942). The discovery rule applies to actions involving breach of fiduciary duty. See April Enterprises, Inc. v. KTTV, 147 Cal. App. 3d 805, 827 (1983). Cal. Civ. Pro. Code § 339; Knoell v. Petrovich, 76 Cal. App. 4th 164 (1999). Lawsuit must be brought before the expiration of five years after the act or transaction constituting the violation or the expiration of two years after the discovery by the plaintiff of the facts constituting the violation, whichever shall first expire. Lawsuit must be brought before the expiration of two years after the violation upon which it is based or the expiration of one year after the discovery by the plaintiff of the facts constituting such violation, whichever shall first expire. The one-year statute of limitations for libel and slander runs from the utterance or publication of the defamatory matter. See Wiener v. Superior Court, Cal App 2d Dist. (1976). However, the discovery rule may apply in some limited situations where the communication was done in a secretive or confidential manner. See Shively v. Bozanich, 31 Cal. 4th 1230 (2003). The statute of limitations begins to run at the time that the injury is discovered or should reasonably be discovered. See William L. Lyon & Associates, Inc. v. Superior Court, 204 Cal. App. 4th 1294 (2012). Where an original taking is wrongful, the statute runs from the time of the unlawful taking, but where the original taking is lawful, the action does not accrue until the return of the property has been demanded and refused or until a repudiation of the owner’s title is clearly and unequivocally brought to his attention. See Bufano v. San Francisco, 233 Cal. App. 2d 61, 70 (1965). For more information please email us at gtchonors.llblog@gmail.com or call 954-495-9867 or 520-405-1688.